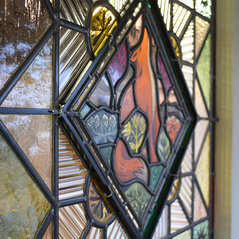 Stained glass and lead light specialist based in South Wales. Restoration and repair, new windows, contemporary and period glass. Ryan Stained Glass was established by artist and craftsman Christian Ryan to specialise in all aspects of stained glass design, fabrication and restoration. You can visit the workshop on a Saturday between 10am - 4pm or get in touch anytime if you have an enquiry or would like to arrange a visit. Typical Job Costs:£100 - £20,000On-site repairs from £80. Restoration is priced individually depending on the scope of work. 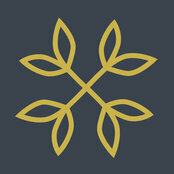 New commissions are often designed, made and installed within a budget. 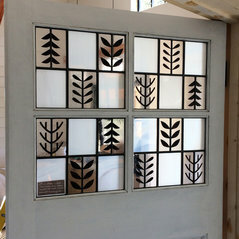 As a guide a door panel could cost between £350 - £1300 depending on size and design.